Rose´ has been the hot wine for summer in BC of late. There are many styles and varietals available out there–so much to choose from. We’ll discuss the various methods of making rose´, some of the growing and harvest considerations and the multitude of varietals used in rose´wines. In 24 hours It generated 2,606,066 impressions reaching an audience of 506,703 people. 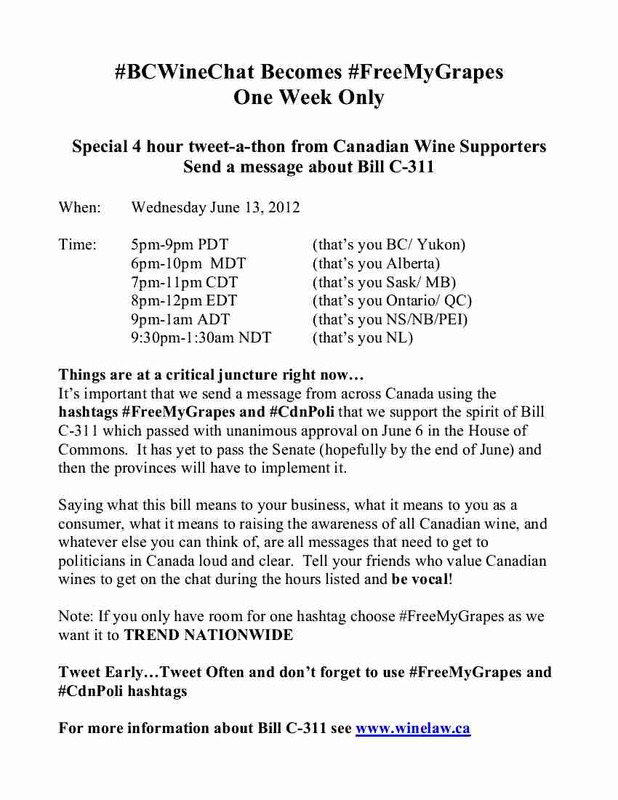 If we are looking to create a wine culture across Canada, this was a historic day–Canadian wine trended in Canada! Throughout the province the vines have woken up and vintage 2012 has begun. What is going on right now in the vineyards of BC? What work has to be done in the fields to bring in the highest quality crop? What kind of weather have the various regions had so far? From Vancouver Island to the Okanagan Valley and all places between and beyond, it’s a vineyard roll call of sorts. If you enjoy BC wines, this is your time to get questions answered. It is always stated that the best wines are made in the vineyard so now you can find out what that means in a real way.